I’m a creative person by nature. Maybe it’s because I’m left-handed and extremely right-brained. When I was young, I would sit on my bed or the living room couch and just sketch. I remember many sketches of people and dragons (when I was particularly into mythology). I’d use pencil and just practice the shading of objects, studying each and every shadow. One of the sketches from my old sketchbook, dated 1993. 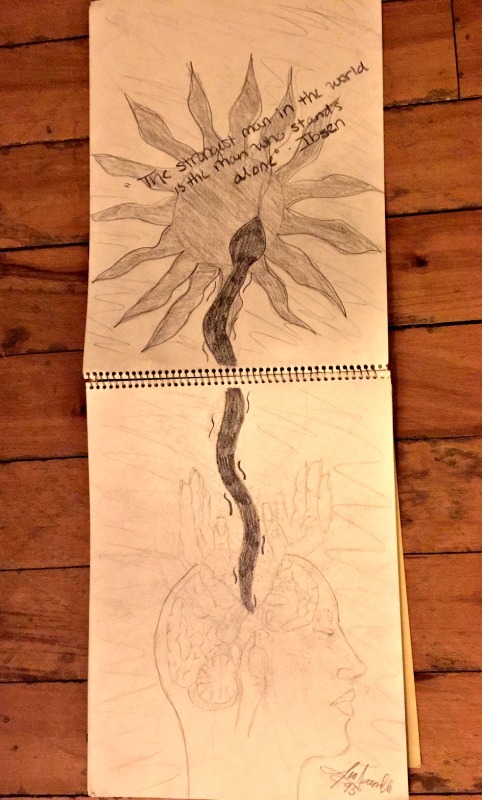 I haven’t sketched in a while, spending more time on writing and other art projects. But sketching is something I’ve thought about bringing back into my creative repertoire. There is something relaxing and empowering about sketching and creating something with your own hands. I have these thoughts as I sit at my dining table with a ProFlowers All Across Africa vase as its centerpiece. The flowers are beautiful, but the vase is really the inspiration because it was handmade by a woman like 28-year-old Francine, a mother of two who has been weaving for 4 years. Her job as a weaver for All Across Africa has allowed her to earn enough money to buy a house and provide health insurance for her whole family. All Across Africa creates market-driven employment opportunities to improve and empower the lives of rural and poor people across Africa. That’s our mission. Our target. Our purpose. 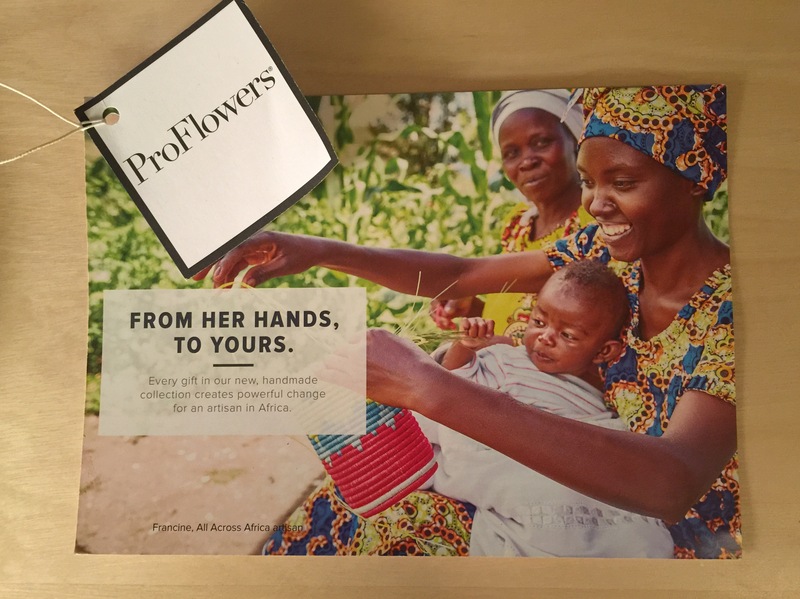 The ProFlowers All Across Africa Collection will provide healthcare for 18,000+ people. Just one ProFlowers All Across Africa vase will provide a child with the opportunity to attend school for 2 months. Each handmade piece in the collection is locally sourced and crafted by artisans in Africa. Disclosure: I received an All Across Africa bouquet from ProFlowers, which inspired the writing of this post. The opinions and words are all mine. Oh I bought proflowers for my mother in law and I had no idea they had this collection! What a great gift.idea! It’s a really great collection! You should definitely check it out. Well you know how much I love handmade! This partnership sounds lovely and totally up my alley.